Kiss fast food goodbye at today's airports. 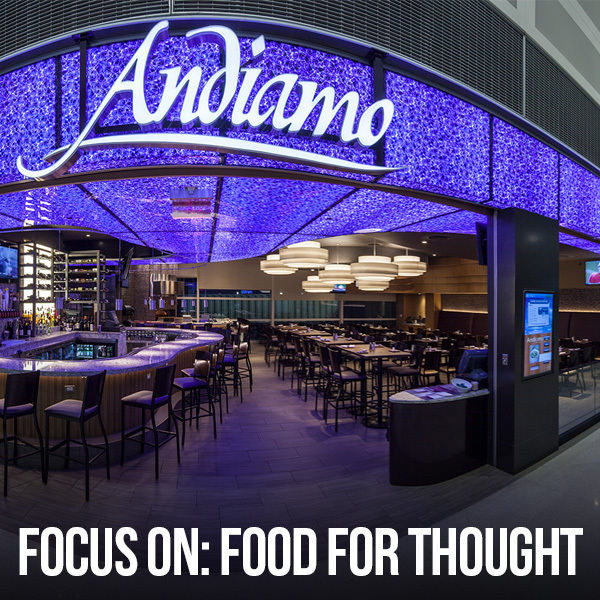 Hungry travelers can now experience Detroit's premier Italian dining destination, Andiamo, at DTW. 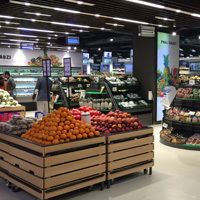 The JGA-designed concept, with warm natural design elements complementing its sparkling amethyst signage band and focal feature bar, won Airport Retail News' 2016 Best Concession Award for Food and Beverage. Dining in the D.
Making its mark on the community, J. Baldwin's beat the competition as ClickOnDetroit's "Best American Restaurant" in Detroit since opening years ago. 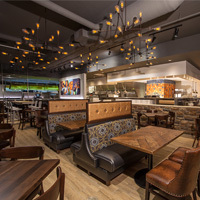 Redesigned by JGA after a devastating fire, the new restaurant continues the tradition, recently earning Best Retail Design honors in the 2016 Detroit Home Awards. Chefs tables rule. Meaning "sky," Sora soars to great heights as the place for sushi. 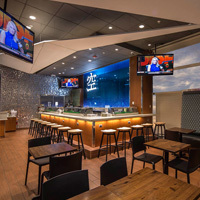 Selected by USA Today readers as a DTW favorite, jet-setters enjoy fresh Japanese cuisine at a moment's notice. A dramatic storefront, ceiling, and interior execution use LED lighting to create a "pool" of space defining the overall presentation. Nothing fishy here. 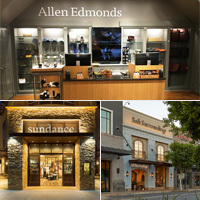 Join JGA Creative Director Miho Koshido-Downey on November 2nd for a tour of three of the hottest new stores at Kierland Commons in Scottsdale: Allen Edmonds, Soft Surroundings and Sundance. 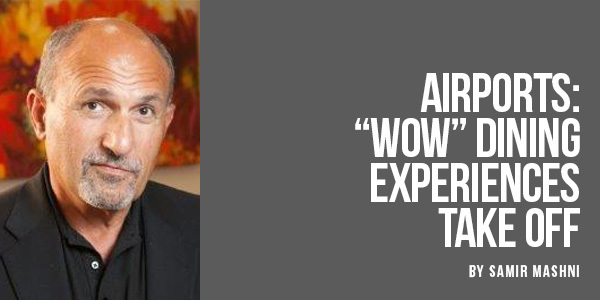 Each retailer will offer tour guests store discounts and a special behind-the-scenes look at what makes their brands unique. Don't miss it!